Enter TRAVO, the free trip planning and booking tool created specifically for administrative professionals. 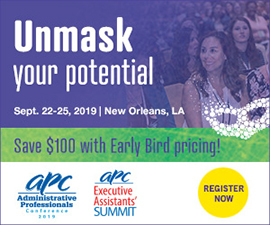 We have spent the past three years teaming up with organizations like ASAP and speaking to thousands of admins from around the world to help create a one-stop shop for administrative professionals that helps solve the following five largest travel planning pain points. 1. Traveler profiles are hard to create and difficult to share. Traveler profiles pose a number of problems for admins. First, creating and gathering a new traveler’s information and preferences is time consuming. Most admins have created traveler profile forms to send to new employees. However, many of these forms require travelers to print out a paper form and submit it to their admins. Then, admins are required to manually type out all of their traveler’s information and manually enter it into a spreadsheet. Last, these profiles are impossible to share with other admins and can often lead to miscommunication. TRAVO allows you to easily invite new employees to your team so they can instantly start filling out their profile and adding their preferences. Already know all of their information? No problem! 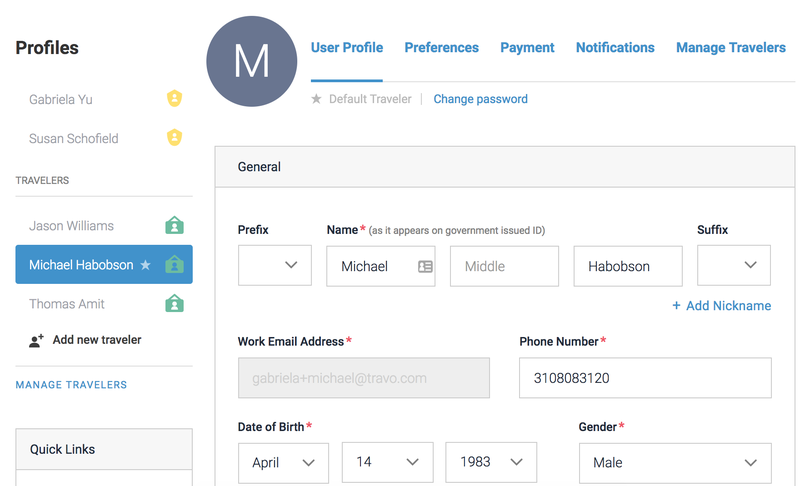 You can create an entire profile without your traveler ever receiving an email from TRAVO. As soon as a traveler profile is added, their information is automatically shared with you and all other admins on your team. 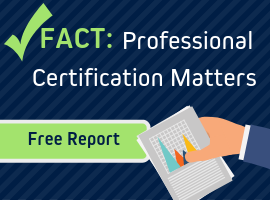 Best of all, TRAVO is PCI DSS compliant and https secured. This means all of your traveler’s information is encrypted and password protected making it the safest way for you and your traveler to share their sensitive traveler information. 2. Trip requests are incomplete and hard to collaborate on. In a best case scenario, a trip can take an admin a couple hours to plan and book. However, admins are rarely planning in a best case scenario. Travelers often leave out meeting times, preferences, and schedule restraints which leaves admins with the nearly impossible task of creating an end-to-end itinerary on only half of the information. TRAVO has created a travel request form and management tool for you to collect all the necessary information to create an itinerary. Whenever your traveler has an upcoming trip, they can fill out a trip request and we will automatically email with their request. 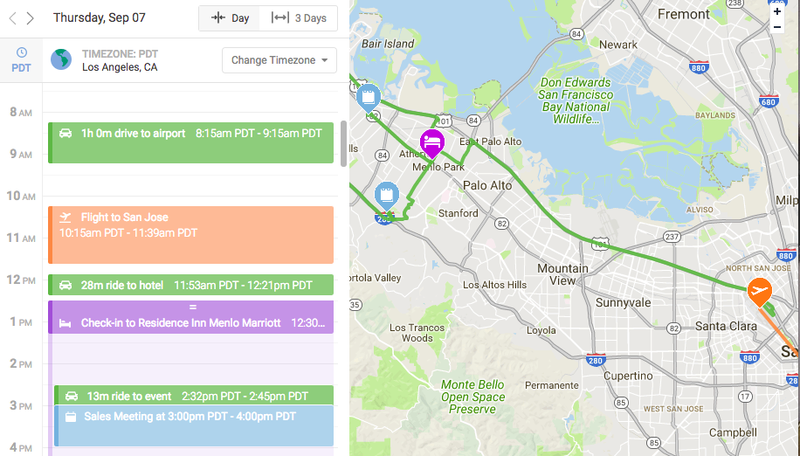 Now, your travelers will be able to send trip requests with a click of a button and you’ll be able to easily reference their scheduled meetings and preferred airlines, hotels, and ground providers. Work with a team of admins? No problem! With our trip request dashboard, you can assign trip requests to each travel planning admin to create a seamless trip request process. You can check out our example travel request form using the link below! Already have an account? You can check out your admin dashboard and start sharing your personalized trip request form by clicking here. 3. I always have to open one tab for research and another tab for booking. For many travelers, their number one priority is making sure they are able to continue to collect points and gain higher loyalty statuses. This typically leaves admins with one choice: opening up 5+ windows and rerunning the same search countless times. TRAVO allows you to do all of this in one single tab with one single search. We work directly with the airlines, hotels, and rental companies to provide you with the most seamless booking process possible. Whenever you make a search on TRAVO, you will be able to compare across all major providers in one single tab. Bookings are passed directly to the provider so you will see their name (ie: American Airlines) on your credit card statement rather than TRAVO. This makes reconciling expenses much easier. We also integrate your traveler’s profile with bookings so their loyalty numbers are automatically applied to make sure they are getting the points they deserve. Lastly, we pride ourselves on having the best customer service out there. We have a 24/7 booking support line that answers within 30 seconds and a live chat to help you as you book. Communicating with travelers is something every admin struggles with and the struggle is never greater than getting your traveler to finalize and approve an itinerary. To make matters worse, travelers are notoriously picky! No matter how perfect a flight or hotel is, they always want to know about earlier, cheaper, or closer options. Every admin has a different template for how they send trips for approval. However, these templates always involve complicated formatting or screenshots that are hard for your traveler to digest. With TRAVO, you can anticipate your traveler’s follow up questions to suggest additional options as you go through the thousands of results. Because we show results for every major provider, you can suggest as you research without having to open any additional tabs. Then, when the trip is ready send a summary of selected and suggested options with the click of a button. This will automatically format every option for you so your traveler can easily compare side-by-side all of your suggestions. Your traveler can review these suggestions from anywhere using their computer, phone, or tablet. After they have reviewed their itinerary, they can reply with their feedback. All of those back and forth emails are now boiled down to a single exchange. 5. Creating detailed itineraries is a headache and leaves room for error. Travel planning is a marathon, not a sprint. Even after wading through thousands of flight options, waiting for your traveler’s approvals, and entered all of your traveler’s information to book, you still have to create an end-to-end itineraries. These itineraries are your traveler’s lifelines while they are on the road. They include confirmation numbers, meeting locations, times, and expected traffic conditions. Admins are required to manually enter all of this information in three separate places: printable word document, calendar applications, and traveler’s preferred mobile app. This is time consuming and can leave room for human error. TRAVO automates this entire process by building your itinerary as you search. Whenever you select a flight, or change to a new hotel, we will automatically update your itinerary to include the new timing and drive directions. After you book, confirmation numbers are instantly tied to each item in the itinerary. You can also add all of your traveler’s meetings and events on TRAVO. As you add meetings, you have the option of adding in the meeting’s local time zone or in your own and we will automatically convert it for you. After your itinerary is finalized, TRAVO allows you to export to Microsoft Word, Outlook, Google Calendar, and Apple Calendar with a click of a button. Whenever you export an itinerary all timezones, driving directions, and booking information will be included. Last, but certainly not least, TRAVOitineraries are mobile friendly so your traveler can access their information on the go. You can also sign up for a free account by going to http://www.travo.com/?ref=asap3.